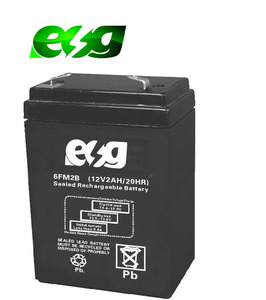 AGM Lead Acid battery 12v 2Ah UPS used Please check the specification as below: Charavteristics 1. Wide operating temperature 2. Multicell design for economy of installation and maintenance 3. Low selfdischarge:about 3% 20&deg;C 4. AGM sparator for gas recombination of up to99% 5. Design life: up to 5~10years @ 20&deg;C 6. Maintenance free 7. Certificates:CE UL ISO9001 Application 1. Lighting system 2. Security system 3. Electric toy 4. Telecommunication system 5. 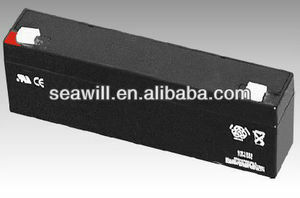 UPS Voltage (V) Capacity (Ah) size(mm) Weight (kg) L W H T.H. 12 0.8 96 25 62 62 0.35 12 1.3 97 43 51 55 0.60 12 2 70 47 100 104 0.75 12 2.2 70 47 100 104 0.83 12 2.2 179 35 61 65 1.00 12 3.2 134 67 60 64 1.30 12 3.6 90 70 103 107 1.35 12 4.5 1.50 12 5.2 1.70 Packing: We are qualifications manufacturer of lead acid batteries,we engaged in batteries for more than ten years,if any other batteries inquiry feel free to contact me,thanks! Thanks for your browsing! 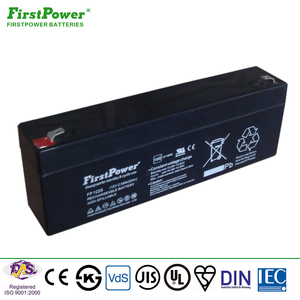 The battery electrolyte contains fumed silica, and there is no flow, no leakage or no gradation of acid liquor. The grid of electrode plate is in radial structure, which is favorable for improving the utilization rate of active materials. The terminal is sealed through fusion welding and second seal of resin sealant, and the seal reliability is high. 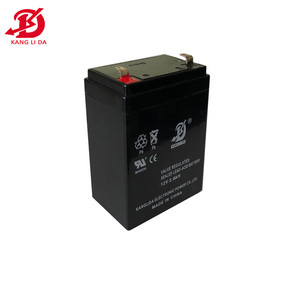 This 4v 2ah rechargeable lead acid battery is only for application listed above. When using the 4v 2ah rechargeable lead acid battery, wear safety glasses and rubber gloves. 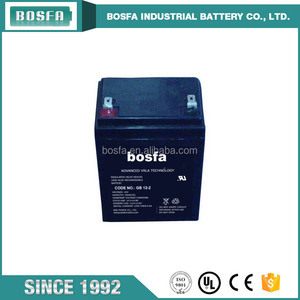 Q: How about the lifespan of your battery9 A: 4v 2ah rechargeable lead acid battery lifespan is more than 2 years. Kweight Battery have passed CE & UL approval and have been widely applied for Telecommunication system,Solar system, UPS, Emergency lights etc. Project Cases we are reliable partners, quality is our mission! If you have any more questions, please contact me! In addition, we carry out the production of Carbon Zinc and Alkaline dry cells to 0% Mercury, Silver Oxide button cells, battery charges and battery holders. Our products are widely approved by many local and oversea companies and are exported to all over the world like the U. We professionalized in the production and exportation of all kinds of high-efficient batteries with marketing experience for many years. 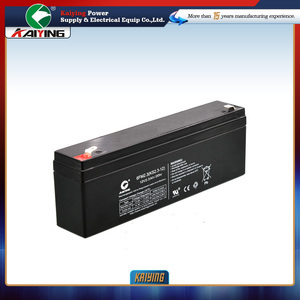 Alibaba.com offers 208 lead acid battery 12v 2ah products. About 75% of these are storage batteries, 14% are rechargeable batteries, and 1% are auto batteries. 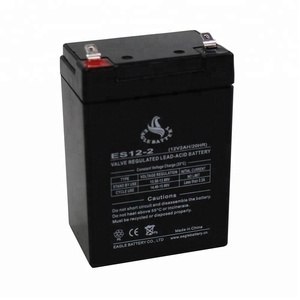 A wide variety of lead acid battery 12v 2ah options are available to you, such as free samples. 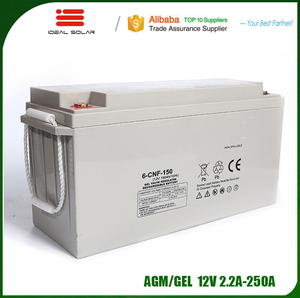 There are 208 lead acid battery 12v 2ah suppliers, mainly located in Asia. The top supplying country is China (Mainland), which supply 100% of lead acid battery 12v 2ah respectively. 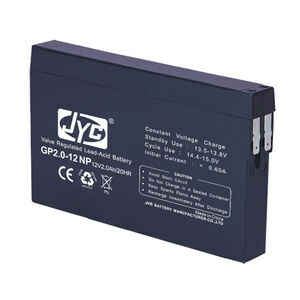 Lead acid battery 12v 2ah products are most popular in North America, South America, and Mid East. You can ensure product safety by selecting from certified suppliers, including 68 with ISO9001, 33 with ISO14001, and 23 with OHSAS18001 certification.